War is eternal – the technological progression of mankind in the spectrum of history has often been mirrored by the evolution of weaponry throughout the millenniums and centuries. This particular ambit of warfare has been aptly presented in a striking visual form by The Altantic in the following short animation. The video depicts and assortment of weapons starting from the rudimentary hand ax, which is the longest-used tool in human (and Homo erectus) history, to the tasers and drones of our modern era. Now while the video does a great job of presenting many of the ‘famed’ weapon systems from the extensive historical time-frame, there are some fascinating weaponry designs that have not made the cut. So we here as history enthusiasts are going to make honorable mentions of some of them – taking into account their ‘advanced’ nature that was ahead of their respective contemporary times. 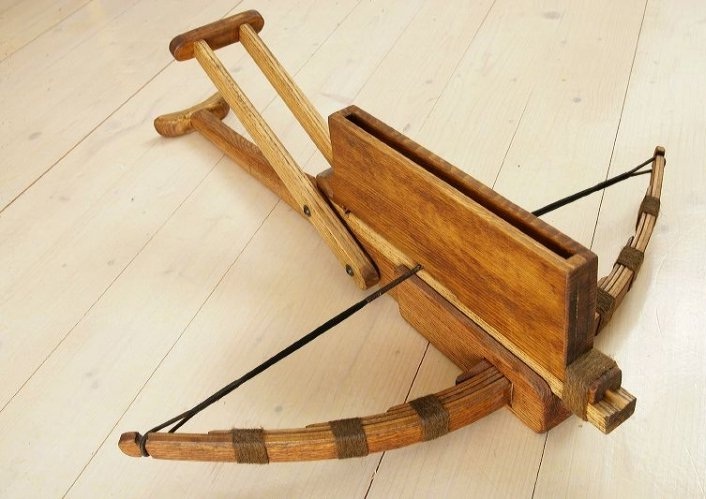 The Chinese designed an ancient weapon system that went beyond the limitation of crossbows and their cocking times, to account for a semi-automatic mechanism. The end result was the Chu-Ko-Nu (or Zhūgě nǔ in Chinese), a repeating crossbow that could fire up to ten steel-tipped bolts in succession, in just 15 seconds! As one can comprehend from the above image, this semi-automatic weapon was operated by holding the stock in the left hand, and then working the rectangular lever (in a forward and backward manner) with the right hand. So, unlike the regular crossbow which was usually supported by the shoulder, the balance for Chu-Ko-Nu was kept by only using the hands. This drawback was more than made up for with the sheer firing rate of the mechanism – that could usually discharge successive arrows within an interval of 2 seconds. This however curtailed its effective range at around 75 yards, given the limited potential energy being produced by the internal mechanism. 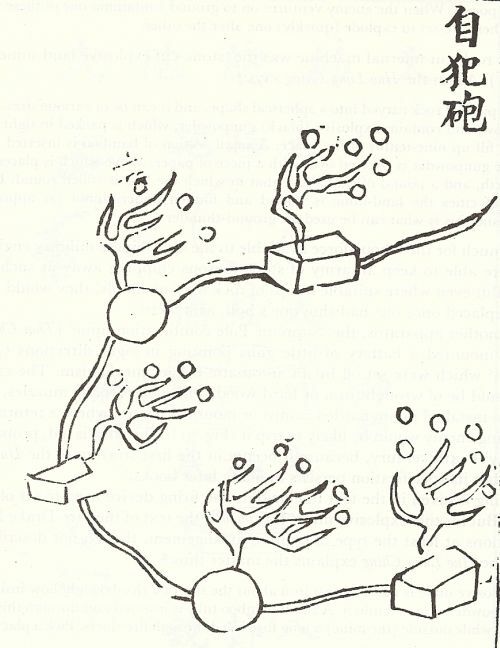 This had led to the hypothesis that Chu-Ko-Nu was probably used by specialized teams with loose formations (so as to reduce friendly fire) upon massed ranks of enemies – like from the top of a city wall. In that regard, the earliest evidence of the weapon had been found to date from 4th century BC; though its effective design was probably perfected by Zhuge Liang (181–234 AD) during the Three Kingdoms Period in China. There are also literary sources that narrate how just 1,000 Chinese crossbowmen unleashed over 500,000 arrows in a single day at the advancing Hsiung Nu (Hun) cavalry, during a particular encounter in 1st century BC- thus hinting at a similar type of weapon being used. 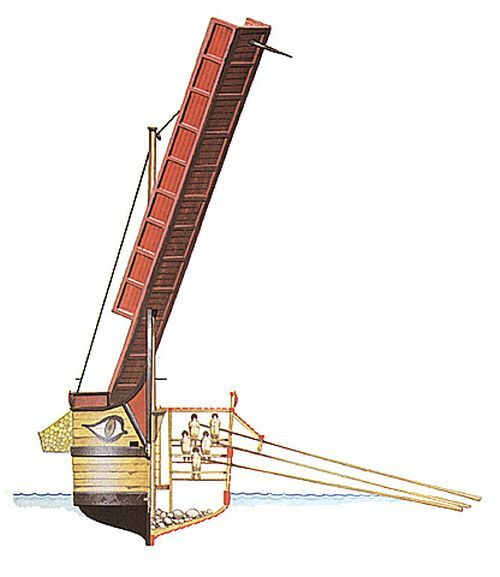 According to a description penned by Athenaeus, Ptolemy (Ptolemaios) IV Philopator, who ruled the Ptolemaic Kingdom of Egypt from 221 to 204 BC, had constructed a state-of-the-art warship (known as Tessarakonteres) that was 130 m (420 ft) long, 18 m (57 ft) wide, and 22 m (72 ft) high, thus accounting for a gargantuan volume of around 52,000 cubic meters. To complement this gigantic size, the warship was supposedly ‘driven’ by a set of four steering-oars that were 14 m (45 ft) long, and accompanied by 40 tiers of oars. These oars were also counter-balanced with lead that made them easier to handle for the oarsmen. And since we brought up the crew, this is where the Tessarakonteres really notched it up on the grandeur factor. 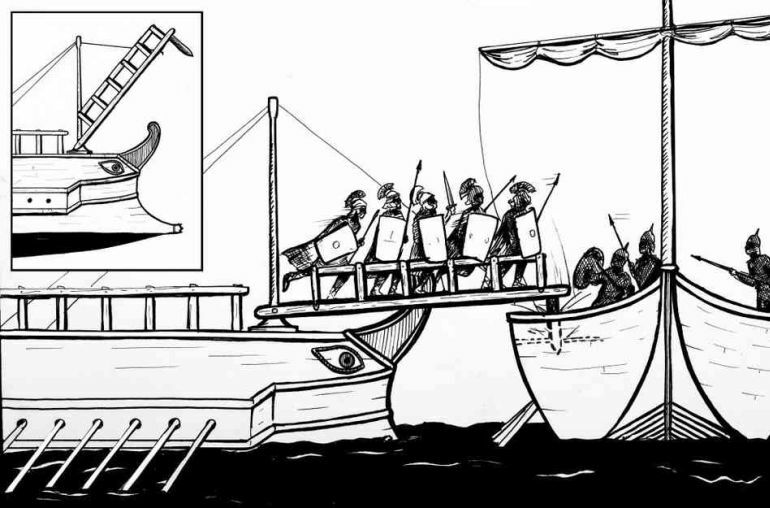 According to the aforementioned account, the giant Hellenistic warship with its seven rams, was supposedly manned by 400 sailors (for rigging and regulating the sails); 4,000 rowers (for handling the oars); and 2,850 armed marines – thus accounting for a total of 7,250 men, which is more than the crew numbers required aboard the largest existing aircraft carrier in the world! 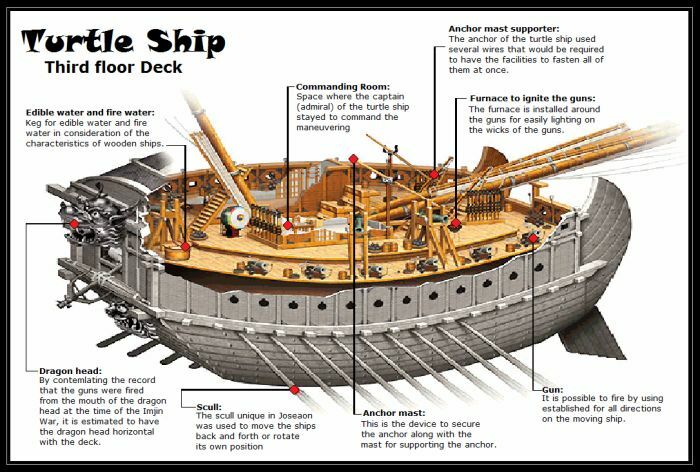 More importantly, this seemingly impracticable ship was built by using massive quantities of timber that were probably imported from Lebanon, as Egypt didn’t have many forests to boast of. 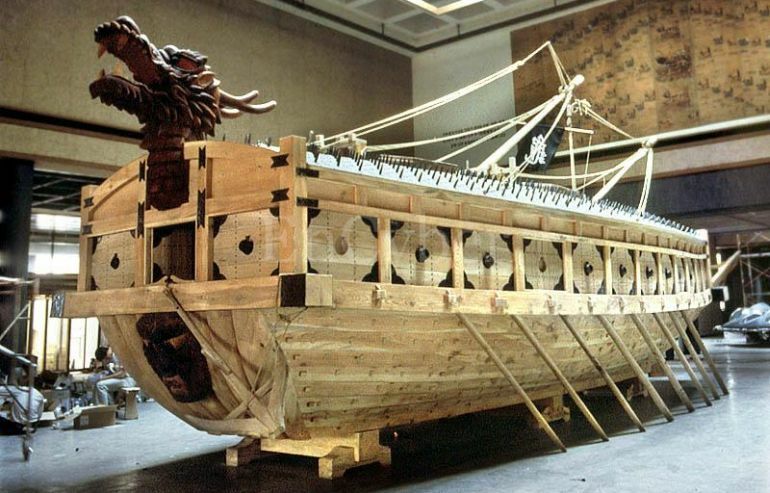 And what’s more; there are also other accounts for such imposing crafts from the ancient world, including a special ship that had a huge catapult (designed by Archimedes himself) that could hurl 55 kg (120 lbs) stones over a distance of 180 m (600 feet). During the time-line of the First Punic War fought between Rome and Carthage (264 – 241 BC), the Carthaginians were known for their prowess in the naval field, partly due their maritime experience in trading and overseas colonies that stretched beyond centuries. On the other hand, the Romans were considered as relative newcomers to the Mediterranean sphere of influence. 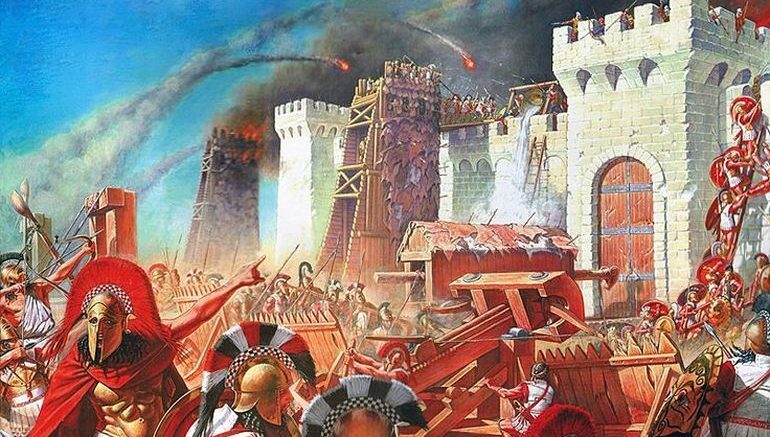 In spite of this, it was the sheer ingenuity of the Roman army engineers that brought victory to the Romans in what might have been the largest naval battle in the history of mankind. We are talking about the Battle of Cape Ecnomus (in 256 BC) – that pitted around 350 Carthaginian ships (with more than 150,000 rowers and marines) against 330 Roman vessels (with around 140,000 rowers and soldiers); all the (possibly inflated) figures being according to the account of Polybius (in World History). In a bid to nullify the enemy’s numerical advantage, the Roman army devised a mechanism known as corvus (meaning “crow” or “raven” in Latin) or harpago. The mechanism entailed a sort of a boarding bridge that could be raised from a 12-ft high sturdy wooden pillar, and then rotated in any required direction. The tip of this bridge had a heavy spike (the ‘corvus’ itself) that clung on to the deck of the enemy ship, thus locking the two ships together. The Roman soldiers crossed across this makeshift bridge, and directly boarded the enemy ship. This naval tactic gave the Romans the upper-hand, since they were known for their expertise in close-quarter combat, as opposed to the Carthaginians who mainly relied on mercenaries. Unfortunately, the corvus was seemingly abandoned in the post 255 BC era, perhaps because of its destructive effect even on Roman warships. According to Joseph Needham, in his book Science and Civilization in China, the Chinese forces under the Song Dynasty did use explosive landmines as a defensive strategy against the marauding Mongols. On particular incident during this time pertains to the year 1277 AD when one Lou Qianxia crafted an ‘enormous bomb’ that was successfully detonated when the Mongols were besieging a southern Chinese settlement. The follow-up to such military actions led to the documentation of the said technology in the famed 14th century Chinese manual Huolongjing. The explanation for these landmines mainly related to the use of hollow cast iron balls that were presumably filled with gunpowder. These mines are mostly installed at frontier gates and passes. Pieces of bamboo are sawed into sections nine feet in length, all septa in the bamboo being removed, save only the last; and it is then bandaged round with fresh cow-hide tape. Boiling oil is next poured into (the tube) and left there for some time before being removed. The fuse starts from the bottom (of the tube), and (black powder) is compressed into it to form an explosive mine. 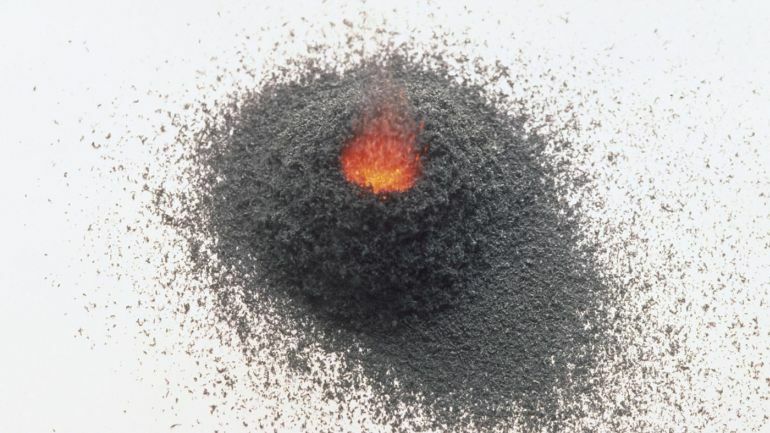 The gunpowder fills up eight-tenths of the tube, while lead or iron pellets take up the rest of the space; then the open end is sealed with wax. A trench five feet in depth is dug (for the mines to be concealed). The fuse is connected to a firing device which ignites them when disturbed. And interestingly, there were instances when the enemy was lured into the ‘trespassing zone’ of mines by placing weapons on the mounds concealing the firing devices (that were usually slow-burning bowls). Fueled by our innate desire to get hold of shiny (and free) objects, the poor soul would trigger the setup by the overturning this bowl, thus leading to the fuses being lit for the imminent detonation. When the Japanese forces under Emperor Hideyoshi invaded Korea in 1592, they boasted of two significant advantages over their foes – their Portuguese supplied muskets, and their aggressive tactic of boarding enemy ships (supported by cannon fire). However, Korean Admiral Sun-Shin Yi had an answer for these ploys in the form of the newly designed Turtle Boat (Geobukseon in Korean). Constructed with the aid of newly raised private money, this relatively small fleet consisted of around 120 ft long ships (with beams of 30 ft) covered in iron plates. The core frame was made from sturdy red pine or spruce, while the humongous structure itself incorporated a stable U-shaped hull, three armored decks and two massive masts – all ‘fueled’ by a group of over 80 sinewy rowers. However, the piece de resistance of the Turtle Boat was its special roof that consisted of an array of metallic spikes (sometimes hidden with straws) that discouraged the Japanese from boarding the ship. This daunting design was bolstered by a system of 5 types of Korean cannons emerging from 23 portholes, that had effective ranges of 300 to 500 m (1000 ft to 1600 ft). And finally, the awe-inspiring craft was made even more intimidating – with a dragon-head on the bow of the vessel that supposedly gave out sulfur smoke to hide the ponderous movement of the boisterous boat. The article was composed from excerpts of one of our previous articles – 14 Exceptional Weapon Designs From History That Were Ahead Of Their Time.